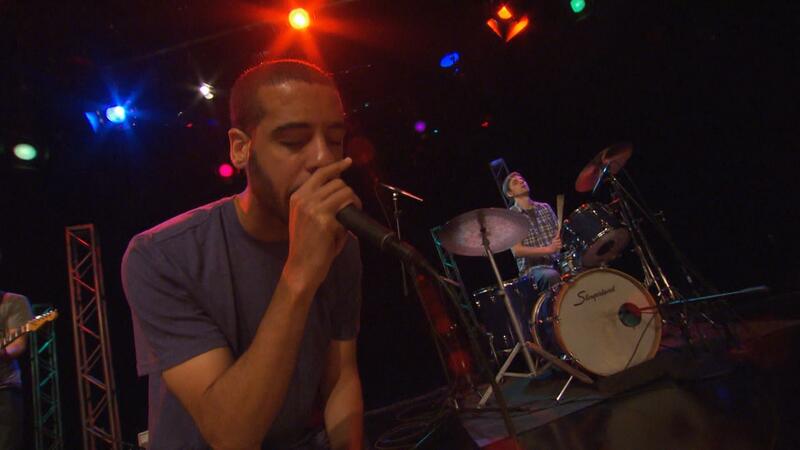 Twin Cities hip-hop trio No Bird Sing stopped by our studios to perform three songs from their new self-titled album. The group, which includes drums, guitar and electronics, proves to be the perfect combination of spoken word and music. In summer 2008, lead vocalist Eric Blair (Joe Horton) and Robert Mulrennan (guitars/electronics) of Hyder Ali merged with Abzorbr's Graham O'Brien (drummer/electronics) to create the hip hop trio, No Bird Sing. They blend sometimes tense, gritty instrumentation with honest lyricism, often inspired by Blair's reading list. Stopping to discuss group dynamics and the thrill of creation, No Bird Sing performs in studio. Twin Cities hip-hop trio No Bird Sing perform.